It's getting to be that time - Christmas cards! Luckily Groupon is offering this super deal on Picaboo photo cards. For $25, you get $75 worth of holiday cards. For $40, you get $100 worth of holiday cards. 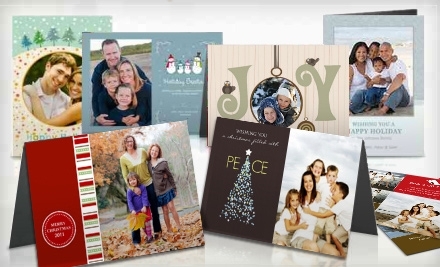 For $50, you get $120 worth of holiday cards. And, the Groupon is valid toward tax and shipping! There is a limit of 1 per person, but you can buy 1 additional as a gift. Hurry this Groupon expires on November 5!